The USA Party is a grass-roots organization of Independent Voting Citizens who provide solutions to political problems & resolve political divisiveness whenever possible. As followers of President Thomas Jefferson, we believe in strict observance of the US Constitution in our endeavor to continue a Republic with little interference to business and social freedoms from the federal government. In addition, we strongly support the 10th amendment as a means of letting the will of the people decide how to manage functions not specified in the Constitution, such as abortion, drugs, and marriage. WHO IS THE USA PARTY BASE: We reach out to Independents, Libertarians, the Tea Party, Republicans, Centralists, Moderates, the Green Party, and everybody else. 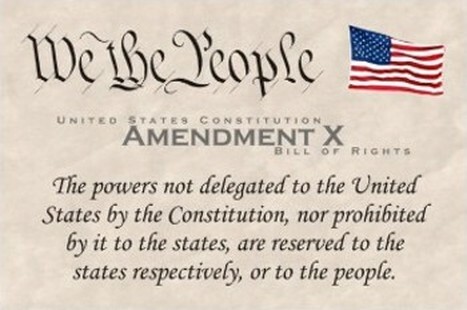 We seek anybody that believes Congress and the federal government are completely out of touch with the people, they are out of control in controlling government spending, and they have over reached duties given to them in the US Constitution and those government functions should be given back to the States. BOOK: Download our book ﻿for FREE﻿ at the bottom of the page. See a summary of our book by downloading our Powerpoint Presentation HERE. We believe the next President can't wait 100 days to get this country back on track. We have created a list of Executive Orders to be issued on the 1st day of office. Please down load the Executive Orders by clicking on the "Executive Orders on the First Day" title of this section above. On March 13th, President Donald J. Trump signed an Executive Order that will make the Federal government more efficient, effective, and accountable to you, the American people. According to the website, President Trump wants to hear your ideas and suggestions on how the government can be better organized to work for the American people. View the latest updates to TheUSAparty by going to our Current Events page. Our Co-Founder, Doug Thorpe, is creating podcasts and Youtube videos in his show, God-Talk.com. In God-Talk, a rocket scientist and a medical doctor (who is also a pastor) talk about science, religion, and the world. Many of the shows pertain to politics and the GOP candidates and can be found on the Current Events page. DONATIONS: We don’t request or accept any donations! We are not your usual political organization; we are a few volunteers that freely donate our time and meager resources in hopes that we can return this nation in a form envisioned by the founding fathers. We only desire that you share this website and our ﻿book﻿ with your friends and Political Leaders. Instead of donations, we request you send your comments, your opinions, and your papers that we can publish on our "Papers" webpage. Please join our Silent Revolution; nobody has to know you are a member because we do not have to report your membership to anyone, because we do not accept any donations. All we ask is that you share our website, our powerpoint presentations, and our book! Get your FREE theUSAparty.com BUMPER STICKER & PENCILS. All other government functions should be performed and funded by the states. By moving so many federal functions to the states, we are able to balance the federal budget after a 3 year transitional period WITHOUT CUTTING ANY PROGRAMS! So we can fully explain what is wrong with the present political process and what can be done about it, the USA Party Co-Founder, Douglas G. Thorpe, has written a book. This book should be read by all Conservative and Libertarian candidates who want to combat liberal hot buttons like the ones listed below. Thorpe provides ammunition on how to deal with liberals on these subjects. If you care about the direction of our country; if you care about balancing the Federal Budget; if you care about immigration; if you care about a robust Space Program that will send men back to the moon and beyond; or if you care about how to restore this country's education program to top of the world in Science, Math, and Reading then this is a must read book. Please download our book for FREE at the link below and see all the wonderful benefits of the USA Party.